This resort is located in the Southern Caribbean on the small Dutch Island of Curaçao, known for its beautiful beaches tucked into private coves. 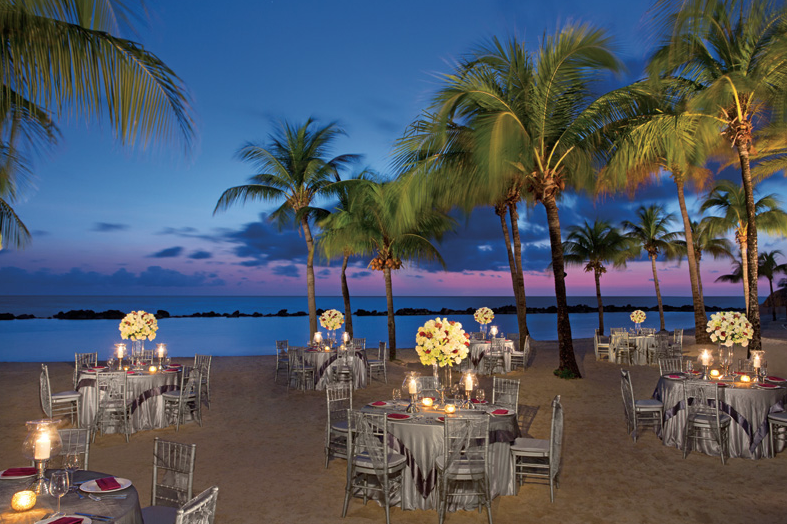 Offering the largest beach of all the resorts on the island, you can host your wedding ceremony on golden sand, with shimmering emerald waters surrounding you and your guests. As a family-friendly resort, they offer something for everyone with protected areas to swim and snorkel in, 3 different pool areas with ocean views and hot tubs, and rich Dutch heritage for guest to explore. 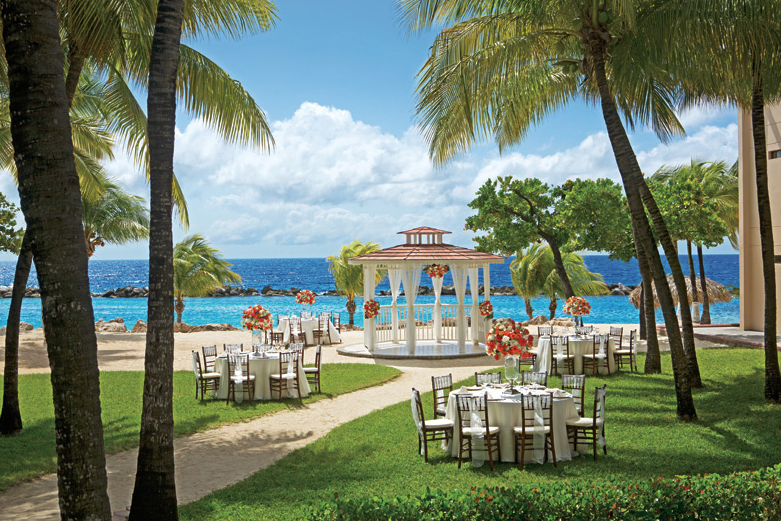 Have the wedding of a lifetime on the island of Curacao! There is a National Geographic and PADI certified Dive Center on-site, with functional facilities along the pier. 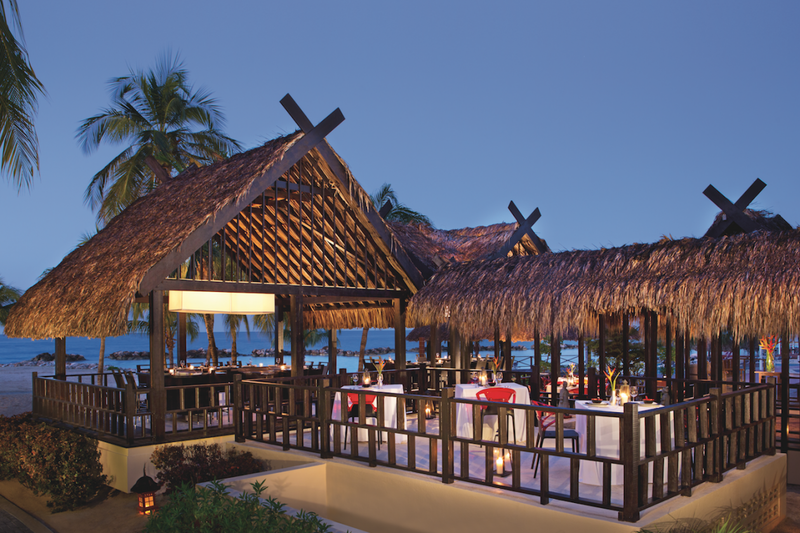 The resort includes one of the largest and most visited casinos on the island of Curaçao. There is a complimentary shuttle to Willemstad twice daily, Monday thru Saturday, where guests can explore and learn more about the history of the island. Beach – 120 guests max, Peninsula Gazebo – 120 guests max, Garden Gazebo – 80 guests max. The resort will host no more than 1 wedding per day, Monday thru Saturday. Ceremonies will not be held past 5pm. Rooms range from $140 – $200 per person per night. Every room includes a minibar. All ground floor rooms have direct access to the beach. Children 2 and younger stay free. There are 341 total guest rooms with views of the ocean or gardens. Connecting rooms are available upon request. The property is made up of two u-shaped buildings that stand 3 stories tall. The resort is handicap accessible, and guests may rent wheelchairs upon request if needed. Sunscape Curacao is located about 10 miles from the CUR airport. The resort is about 15 minutes outside of downtown Willemstad. Sunscape Curacao is located 10 miles from the CUR airport. The resort is about 15 minutes outside of downtown Willemstad. 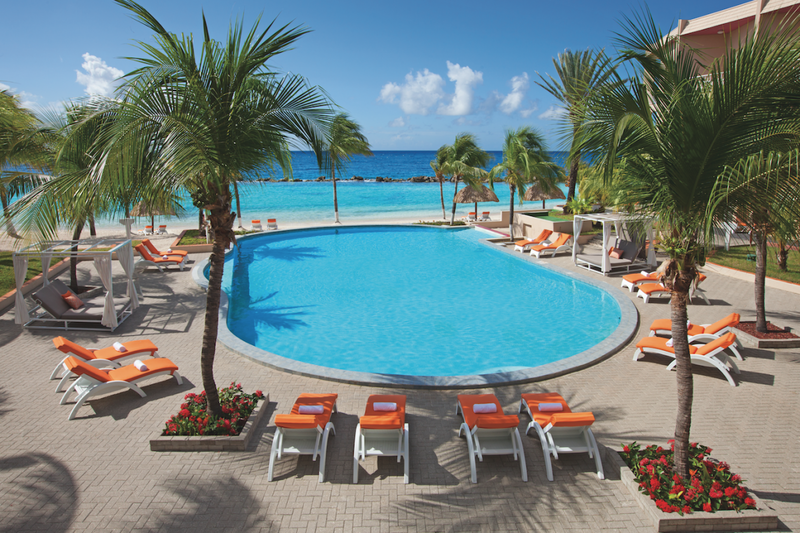 Q: What makes Sunscape Curacao Resort such a great place for a destination wedding? A: This is the largest all-inclusive resort with the longest beach on the island, and our location is central, so everything is close to the resort. Q: What are the challenges brides face when planning their destination wedding at Sunscape Curacao Resort? A: We offer a limited amount of wedding venues to choose from, but most of the time brides love the wedding ceremonies anyway because of the beautiful decor we use. We also have limited availability due to only hosting 1 wedding per day. Q: I always love the end of the day because I am so happy to see how happy the couple is at the end of their wedding, and know I was able to be apart of making their day so excellent.